Listen to the perspective of others in the community. I was interested is hearing what some of the constructions workers had to say about the 10k new homes that were approved for the north bayshore area. They were Sheet Metal Workers, and all in favor of the project, some of them mentioned that they would be employed by developers, and others mentioned that they wanted to live in one of the new homes. Hear exactly what's going on in the community. The day after the new precise plan was approved, I saw online that some people were talking about things that were incorrect, or falsely stated, but since I was present at the meeting, I knew that they were wrong. It feels good to be in-the-know and not have to rely on someone else to filter the information for you. 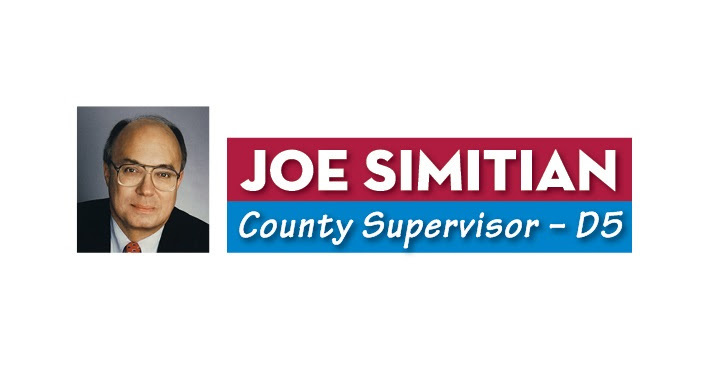 Join Joe Simitian, President of the Santa Clara County Board of Supervisors, as he delivers his State of the County Address. The event will begin at 11:30, with refreshments served after the speech. The Civic Center parking garage is located at 171 West Hedding Street. Mountain View's residential population is expected to grow 35% by 2030. How can our community grow sustainably and make this moment of unprecedented change a time of unprecedented opportunity to improve the quality of life for our entire community? We need your input! Mountain View's Environmental Sustainability Task Force is seeking innovative and actionable ideas from the community to improve environmental sustainability and reduce carbon emissions in the City. If you live, work, attend school, own a business, or otherwise have a significant connection to Mountain View, please join us! Questions or feedback? Email sustainability@mountainview.gov. BIPP (Business Issues & Public Policy) is the branch of the Chamber that advocates for the business community. BIPP is like the eyes, ears, and voice of local business. The decisions that the BIPP committee makes are presented to the Chamber's Board of Directors. The Chamber BOD then decides and votes on whether or not they will take a position on an issue, and what that position will be. Anyone can attend BIPP meetings, but you need to attend 3 of them and become an official BIPP member, before you are allowed to vote.